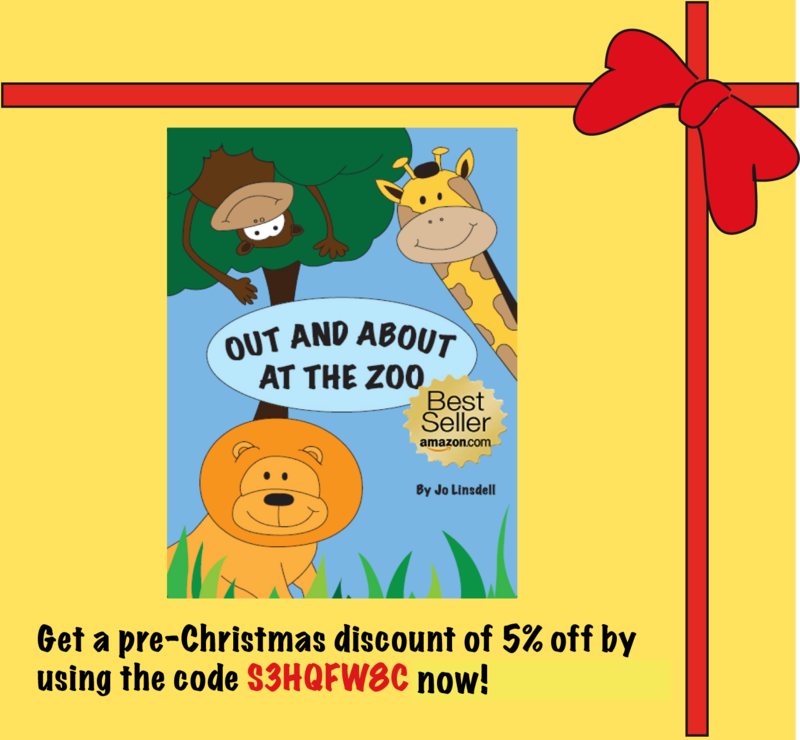 I know that Halloween has only just passed and that those of you in the States are busy celebrating Thanks-Giving but I thought I'd offer a small discount on my book Out and About at the Zoo for those of you that like to start your Christmas shopping early. To get your 5% off just insert the promo code S3HQFW8C at the check out. "Fun with cleverly rhyming text and is brightly illustrated. Your littlies will love Out and About at the Zoo." "This book will become a family favorite quite fast". "This simple children's book with bright colors of animals from the zoo is crisp in it poetic delivery." "I can't wait to read the rhymes in this story to my grand-babies." "As a primary teacher, I recommend this highly for a beginning reader." "Filled with simple yet colorful pictures that even held my one year old's attention!" "Your little angels, be they your children or the grandchildren or the neighbor's children, will love the memorable animal pals in the pages of this bright book". "The images of the animals are cheeky and fun and are complemented by the simple narrative with a strong rhyming element." "The colorful illustrations make this book a joy to read." "This is a clever story in fun verse that will keep children engaged. The colorful illustrations and the perfectly timed meter of the text will be a fun read for kids over and over. A great compliment for your summer list of books for kids". "Kiddo and I both hope there will be more Out and About books, as they would be great baby shower/birthday presents, as your child can grow with them!" "The rhyming text and colorful pictures in Out and About at the Zoo not only make a truly fun story for children to read or have read to them and imagine what it’s like, but will also help to familiarize them with the different kinds of creatures that they will discover at the zoo when they do go". "I recommend this to parents of preschoolers and homeschoolers with beginning readers. Out and About At the Zoo will provide great fun, learning moments, and memories." 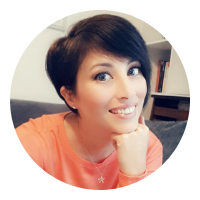 "This book is a colorful, simple, and fun book perfect for the very young"
"What I think is so wonderful about this book is how it teaches children to cherish those times with their mother". "I base my opinion on a children's book on how my son reacts to the story and the fact that my son smiled and signed "more" when we were done reading the story made me enjoy this book even more!" "I loved the book from beginning to end, and I’m sure every child who cuddles with Mommy or Daddy at bedtime will feel the same way." "The whimsy, color, and rhyme of this picture book stole my heart." "Out and About at the Zoo now has a firm place on the daily reading aloud book list, as it never fails to bring a smile to the faces of the young and young at heart in this household." "As a mom I can tell you there is no better compliment to a children's book than to have your child say, "read it again" when you finish reading a book. This is exactly what happened when I finished reading Out and About at the Zoo to my 3-year-old." "My children at school loved the book. The pictures are beautiful, full of wonderful colors and the Pre K children found them intriging." "Cute book ... kids love having their own books on the kindle that they can read! Good for beginning readers, enjoy having the independence to read on their own!"